· ‘Divine XY’ and ‘The Lessons Of The Night’ named Gold and Silver winners in ceremony at Film Development Council of the Philippines (FDCP) Cinematheque. · Directed by Ruelo Zendo and starring Divine Aucina, ‘Divine XY’ is a drama about how a mistaken gender identity can affect public perception. · Christian Villanueva takes Silver for ‘The Lessons Of The Night’, a drama about a teacher working with her delinquent student to retrieve her child from her husband. Two outstanding Filipino short films, ‘Divine XY’ and ‘The Lessons of the Night’, were honoured tonight at the Viddsee Juree Awards Philippines, an initiative that celebrates and supports filmmaker communities in Asia. The Gold winner is Ruelo Zendo for ‘Divine XY’, a 14-minute short film that follows Divine (played by Divine Aucina), who finally gets her dream job but hits a snag when it comes to her paperwork that identifies her as a male. Taking Silver was Christian Rae Villanueva, whose 15-minute drama ‘The Lessons of the Night’ centres around Juanita, a teacher battling depression who conspires with her delinquent student to retrieve her own baby from her estranged husband. The film depicts the responsibility of a mother to her child, and how finding solace can affect humans. 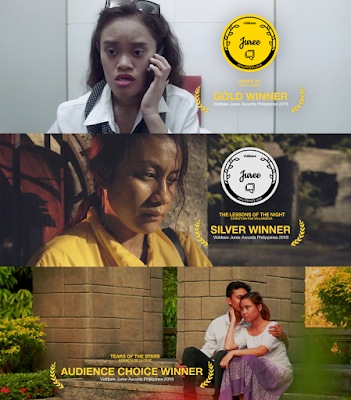 The two winners were picked by an international panel of judges that comprises Malaysian publisher, writer and filmmaker Amir Muhammad; Tribeca Film Festival Shorts Programmer Ben Thompson; and actress Cherie Gil Eigenmann, the three-time Best Supporting Actress winner in the Metro Manila Film Festival, and recipient of the National Commission for Culture and the Arts (NCCA) Ani ng Dangal award. 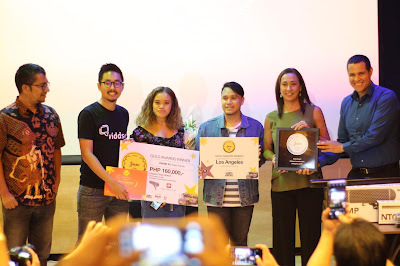 Gold and Silver winners were awarded film production grants worth PHP160,000 and PHP80,000 respectively, along with audio equipment provided by RØDE Microphones. The Gold winner also won a five-day Global Film & TV Program in Los Angeles sponsored by the Motion Picture Association. All ten finalists received a 12-month Creative Cloud All Apps subscription worth US$560 each from Adobe. Aside from the main winners, Kenneth De La Cruz won the Audience Choice Award for his romantic thriller ‘Tears Of The Stars’. The winner was picked based on the most number of ‘likes’ it received on Viddsee.com during a two-week period. 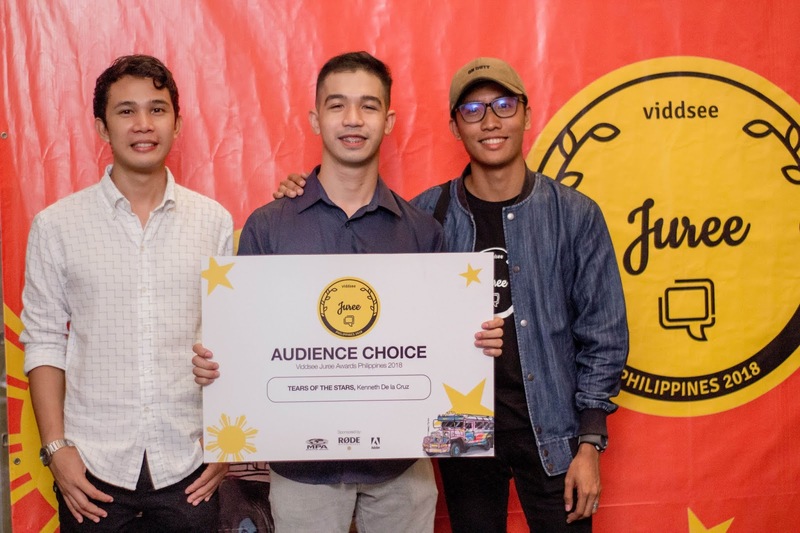 In the run up to the awards ceremony on September 29, Viddsee and venue partner FDCP Cinematheque hosted a two-day programme that included screenings of short films available on Viddsee, panel discussions with the directors, as well as a sharing session by Cherie Gil. 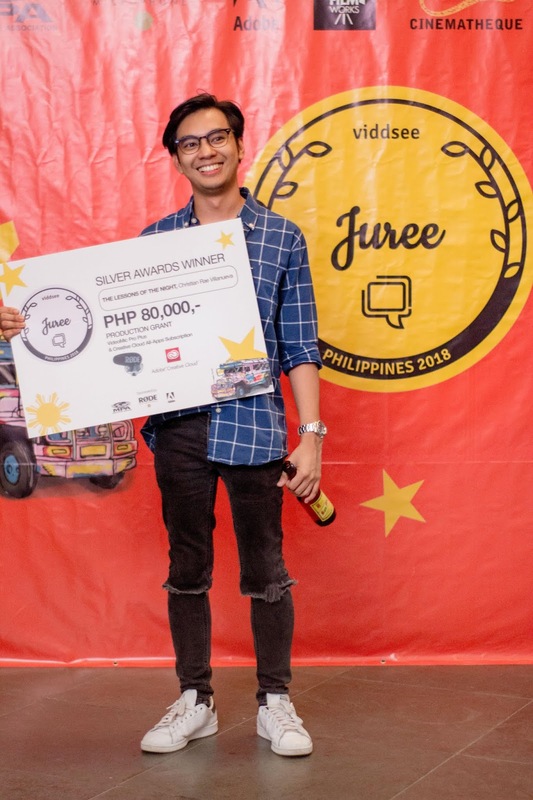 The Juree Awards initiative began with Juree Indonesia in 2016, followed by Juree Philippines in 2017 and Juree Singapore in 2018. This year marks the first time that the Juree Awards will be held across Indonesia, Singapore and the Philippines. 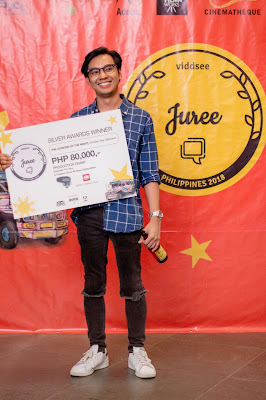 Find out more about the Juree Awards at https://www.viddsee.com/channel/juree. Ruelo Zendo was born, raised, and based in Quezon City, Philippines. An alumnus of the Mowelfund Film Institute, most of his films were grant recipients from art and media institutions. Ruelo previously worked as a director for notable television documentaries. He is currently a resident artist at Casa San Miguel, Zambales. Ruelo works as a director for film, television and video. Christian Rae Villanueva hails from Sta. Mesa, Manila, but has spent most of his life growing up in Santa Rosa, Laguna. He was inspired to become a director after watching Quentin Tarantino’s ‘Kill Bill Vol. 1’ at the age of seven, and made his childhood ambitions come true after enrolling at the De La Salle-College of Saint Benilde (DLS-CSB). ‘The Lessons Of The Night’ is his capstone project for the college. 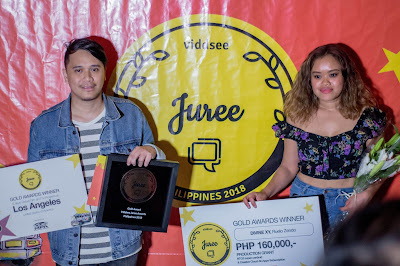 Viddsee Juree Awards is an initiative celebrating the entertainment industry’s picks of Asian short films from all genres: fiction, documentary and animation. 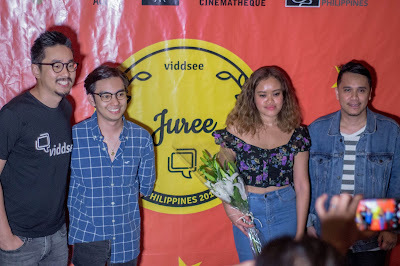 For the Viddsee Juree Awards Philippines 2018, stories were picked from the brightest talents and upcoming filmmakers, and judged by a panel of international judges and showcased online. Juree is part of Viddsee’s commitment to celebrate and support filmmakers and film communities in Asia.